I have another freebie for you that would be perfect for Bible School or Sunday School. I used it last week with preschoolers during Vacation Bible School. 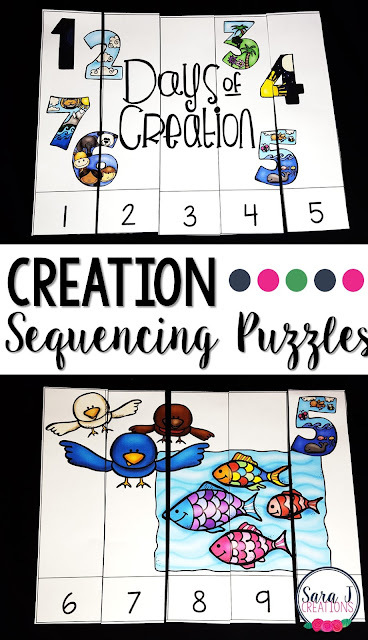 Sequencing puzzles help students to practice assembling puzzles and sequencing numbers. Each picture represents a day of the creations story. Click the picture or click HERE to grab your free puzzles.